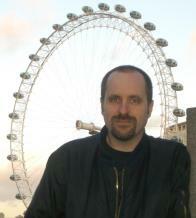 Jonny Nexus is thought by many to be the leading humour writer on the subject of roleplaying games. He’s served as a regular columnist for the magazines Valkyrie and Signs & Portents, wrote the Slayers Guide to Games Masters for leading gaming company Mongoose Publishing, and is the editor and chief writer of the cult webzine Critical Miss. Outside of writing, he lives in West London with his wife and a menagerie of house plants and works as a programmer in the City of London. ‘Jonny Nexus’ is, of course, a pseudonym.